In 2018, there were a number of bills signed into law that impact the business community by increasing taxes and making significant changes to New Jersey’s tax structure. Perhaps most notable were the changes to the Corporation Business Tax (CBT) in July, subsequent changes were signed into law in October. On July 1, 2018 Governor Murphy signed A-4202 into law. The new law adopts combined reporting and makes a number of changes to New Jersey’s CBT, including a four-year CBT surtax. Subsequently, Governor Murphy signed A-4495 into law on October 4, 2018, which makes substantive and technical changes to the CBT bill passed in July. Additionally, changes to the state’s Gross Income Tax (GIT), the Sales Tax pertaining to remote sellers and marketplace facilitators, and a new tax amnesty program, round out the important changes that were made in 2018. A-4202 makes a number of changes to the way in which New Jersey taxes corporations. It includes a four-year CBT surtax on taxpayers with New Jersey allocated income that exceeds $1 million. For tax years beginning on or after January 1, 2018 through December 31, 2019, the surtax is 2.5 percent. For tax years beginning on or after January 1, 2020 through December 31, 2021, the surtax is 1.5 percent. No credits are allowed against surtax liability, except for credits for installment payments, estimated payments made with a request for an extension of time for filing a return, or overpayments from prior privilege periods. Under the law as it was enacted, the surtax expires beginning in 2022. A-4202 adopted mandatory unitary combined reporting for groups of companies with common ownership that are engaged in a unitary business where one company is subject to tax in New Jersey. Under A-4495, the change is effective for tax years ending on or after July 31, 2019. Please note that this is a change from the original effective date of January 1, 2019, as stipulated in A-4202. A “unitary business” is defined as a single economic enterprise that is made up of separate parts of a company or several companies under common control that are sufficiently interdependent, integrated and interrelated through their activities so as to provide a synergy and mutual benefit that produces a sharing or exchange of value among the companies or divisions of the economic enterprise. The combined group shall include income of all members and if not incorporated in the U.S., income should be computed using a profit/loss statement adjusted for U.S. accounting principles and currencies. The managerial member of a combined group can elect to report income on a worldwide basis or affiliated group basis; otherwise, the default will be a water’s edge election which would include any domestic entity unless 80 percent of its property and payroll are based outside the U.S., foreign entities if 20 percent of their property and payroll is based in the U.S., or any member of a combined group that earns more than 20 percent of its income directly or indirectly from intangible property or related service activities that are deductible against the income of the other members of the group, and any member having income under the CBT Act with “sufficient nexus” to New Jersey. The election for reporting lasts for 6 years with the ability to ask permission of the Division of Taxation to deviate from the election. The Joyce approach is incorporated for determining the sales factor numerator, which provides that receipts of members that are subject to the Corporation Business Tax are included in the numerator, but not receipts of non-taxable members. If a partnership is doing business in New Jersey and is unitary with a member of a combined group, the partnership brings the entire group into New Jersey for purposes of being subject to the Corporation Business Tax and income from the partnership is apportioned using the flow-through method of apportionment. Additionally, the legislation provides a unique deduction to help publicly traded companies deal with the financial statement and reporting impacts of combined reporting. The new law also provides for a host of transition issues in the adoption of combined reporting, including the utilization of net operating losses and tax credits by members of the combined group. It should also be noted that the minimum tax of each member of a combined group filing a mandatory or elective New Jersey combined return is $2,000 for each member. Additionally, A-4202 adopted market sourcing for services. Under A-4495, the effective date is applicable for tax years ending on or after July 31, 2019. Please note that this is a change from the original effective date of January 1, 2019, as indicated in A-4202. Services shall be sourced to the location where the benefit of the service is received. If the benefit is received in more than one state, reasonable approximation may be used. For individuals, the default sourcing rule is the billing address; for others it could be the location from where the order is placed or the billing address. The legislation also clarifies the sourcing rule for services of registered securities or commodities brokers and dealers, in addition to the services of asset managers, to be sourced based on the location of the customer. While a previous version of the bill included a special dividend tax and surcharge on repatriated income, these provisions were not included in either A-4202 or A-4495. However, the dividends-received deduction (DRD) is changed for tax years beginning after December 31, 2016 by reducing the amount of the exclusion from 100 percent to 95 percent for 80 percent-owned subsidiaries. For privilege periods beginning after December 31, 2016 and before January 1, 2019 only, A-4495 makes two substantive changes related to calculating the tax liability on the 5 percent dividend amount included in the tax base. First, base tax liability on the 5 percent dividend inclusion is determined using the lower of either the taxpayer’s “three-year average allocation factor” from the 2014-2016 tax returns, or 3.5 percent. Previously, taxpayers were required to use the “three-year average allocation factor” from the 2015-2017 returns. Second, for the privilege periods involved, this calculation applies to both “paid and deemed paid dividends”included in taxable income. Another date change relates to the dividends-received deduction (DRD). As revised under Assembly Bill 4202,taxpayers were allowed a 100 percent DRD only for privilege periods ending on or before December 31, 2016. This means that fiscal year filers with tax years beginning in 2016 could not claim the 100 percent DRD. Under A-4495, the 100 percent DRD now applies to privilege periods beginning on or before December 31, 2016. For privilege periods beginning on and after January 1, 2017, for the purposes of computing entire net income, a taxpayer is not allowed any deduction, exemption, or credit allowed under IRC section 965. Further, the rule requiring use of a net operating loss carryover deduction before applying the DRD was reinstated under A-4495, effective retroactively to January 1, 2017. The law incorporates a mechanism for dealing with NOLs generated prior to the shift to combined reporting. NOL carry forwards will be converted to current year post-apportionment NOLs by multiplying them against the base year (2018) allocation factor. A converted NOL cannot be carried forward for additional periods beyond the original 20 years. The converted NOLs are taken as a deduction against allocated net income prior to NOLs computed under the new combined reporting and post-apportionment regime. Additionally, NOLs computed under the combined reporting regime will be calculated on a post-apportionment basis. The Corporation Business Tax’s prior rules regarding NOL carryforwards surviving mergers and acquisitions and only being available to the entity which sustained the loss shall not be applicable for NOLs computed under the new combined reporting regime. A-4202 also links the research and development (“R&D”) credit in the Corporation Business Tax to current Internal Revenue Code definitions and not those of 1992. In addition, the new law clarifies that R&D credits cannot be refundable and that no provision of the Internal Revenue Code eliminating the credit shall apply for purposes of the Corporation Business Tax. A-4202 revises the foreign treaty exception to the related party add back requirement for interest expense and intangible expenses paid to foreign related members. As revised and effective for tax years beginning on or after January 1, 2018, the add back will not be required if the foreign related member’s income received from the transaction is taxed at a rate equal to or greater than 3 percent of the rate of tax applied by New Jersey. For privilege periods beginning after December 31, 2017, the interest deduction limitation in IRC section 163(j) is applied on a pro-rata basis to interest paid to both related and unrelated parties, regardless of whether the related parties are subject to the state’s related party interest addback rules. The legislation provides various hold-harmless provisions to account for these major tax changes. The law provides that there shall be no penalties on under payments from the changes coming from tax years beginning on or after January 1, 2017. However, the additional payments must be made by either the second next estimated payment subsequent to the enactment of the new law, by December 31, 2018 for tax years beginning on or after January 1, 2017, or by the first estimated payment due after January 1, 2019 for tax years beginning on or after January 1, 2018. There should also be no under payment penalties from the first year of the switch to combined reporting and any overpayment by a member of the combined group from the prior tax year will be credited as an overpayment of the tax owed by the combined group or toward future estimated payments of the group. Under the CBT bill, there were also a number of changes made to the Gross Income Tax. These changes include eliminating the tax exemption provided to pass-through entities receiving and selling Grow New Jersey credits and decoupling the gross income tax from providing any form of the new federal pass-through business income deduction pursuant to Internal Revenue code section 199A. Under A-4495, and for privilege periods beginning on or after January 1, 2018, a CBT taxpayer is allowed a deduction“in the amount of the full value of the deduction” claimed under IRC section 250, to the extent the corresponding foreign derived intangible income (FDII) and global intangible low-taxed income (GILTI) “amounts of income” were not“excluded or exempted” under the CBT Act. It should be noted that the new law does not stipulate the allocation factor as it relates GILTI or FDII. In his statement on the bill, Governor Murphy noted that he has instructed both the Department of Treasury and the Division of Taxation to work with individual taxpayers to ensure that the taxpayer’s CBT obligation fairly reflects its liability. Additionally, he added that the administration will continue to evaluate the impact of New Jersey’s tax treatment of GILTI and how it may impact the state’s competitiveness in theregion. For a link to the full copy of the Governor’s statement, please click here. For a copy of A-4202 (P.L.2018, c.48. ), please click here. For a copy of A-4495 (P.L.2018, c.131. ), please click here. New Jersey made a number of changes to the state’s Gross Income Tax, which affect the returns that taxpayers will file beginning in tax year 2018. Under the new law, New Jersey establishes a multimillionaires tax with a new top income tax bracket of 10.75 percent for income over $5 million. The new law also requires employers that are subject to the state’s income tax withholding requirements to withhold 15.6 percent on salaries and wages in excess of $5 million for tax year 2018. This higher withholding rate allows taxpayers affected by the rate increase to “catch up” on their withholdings for the year since the new tax rate is retroactive to January 1, 2018. The new law taxes investment management services, or carried interest, by eliminating an exclusion from New Jersey source income (for nonresidents) for carried interest/income from providing investment management services and imposes a 17 percent surtax on such management income for Gross Income Tax and Corporation Business Tax purposes. Additionally, the legislation changes the sourcing rule in the Corporation Business Tax used to apportion income for an S corporation providing investment management services to be based on where the service is performed, as opposed to the location of the customer. However, the carried interest or investment management services surtax and sourcing changes described above do not go into effect until Connecticut, Massachusetts and New York enact similar legislation. The new law contains an increase in the state’s income-tax deduction for property taxes, an increase of the Earned Income Tax Credit, and a new child and dependent-care tax credit. The state’s income-tax deduction for property taxes will increase from $10,000 to $15,000. Qualified homeowners and tenants are eligible for a deduction for property taxes they paid for the calendar year on their New Jersey principal residence. 40 percent in tax year 2020 and thereafter. Finally, the new law institutes a new child and dependent-care tax credit, for eligible resident taxpayers who are allowed a federal credit for expenses they incur for the care of one or more qualifying individuals. A qualifying individual can be a child under age 13 or a spouse or dependent who lived with the taxpayer for more than half the year and is physically or mentally incapable of self-care. The credit will reduce the amount of New Jersey Gross Income Tax a taxpayer owes, but won’t result in a refund if no taxes are owed. Taxpayers may be able to claim the New Jersey Child and Dependent Care Credit if they paid expenses for the care of one or more qualifying individuals so that they are able to work or actively look for work, are allowed the federal child and dependent care credit and have New Jersey taxable income of $60,000 or less. For a copy of P.L.2018, c.45. please click here. For more information related to the new Gross Income Tax rate increase, click here, and for information on the other changes to the Gross IncomeTax, please click here. After the U.S Supreme Court’s ruling in late June in Wayfair v. South Dakota, the Legislature passed legislation (A-4496) which was subsequently signed into law by Governor Murphy. The new law requires marketplace facilitators and certain sellers who do not have a physical presence in the state to collect sales tax on New Jersey sales, beginning on November 1, 2018. The bill sets a threshold of $100,000 in revenue from sales or 200 or more separate transactions into the state, both of which are applicable to the calendar year or prior year. For more information, please click here to visit the NJ Division of Taxation’s website. For a copy of P.L.2018, c.132, please click here. The NJ Division of Taxation recently announced the start of the 2018 NJ Tax Amnesty program. The program will run for two months, ending on January 15,2019. The program applies to any taxpayers with liabilities for returns that were due on or after February 1, 2009 and prior to September 1,2017. The taxpayer can pay the tax, plus half the interest due as of November 1, 2018, and avoid any penalties with the exception of criminal and civil fraud penalties. For more information, please visit theDivision’s page for the 2018 NJ Tax Amnesty program, by clicking here. Jim Venere, Managing Director, KPMG and Jaime Reichardt Esq., Chair, State and Local Tax Practice Group, Sills Cummis and Gross P.C. provided extensive technical information for this Fast Fact. To reach out to them, please contact Jim Venere at (973) 912-6349, or via e-mail at jvenere@kpmg.com, or Jaime Reichardt Esq. from Sills Cummis and Gross P.C. at (609) 227-4637 or via e-mail at jreichardt@sillscummis.com. For additional information, please contact NJBIA Vice President Andrew Musick at(609) 858-9512, or via e-mail at amusick@njbia.org. This information should not be construed as constituting specific legal or tax advice. It is intended to provide general information about this subject and general compliance strategies. 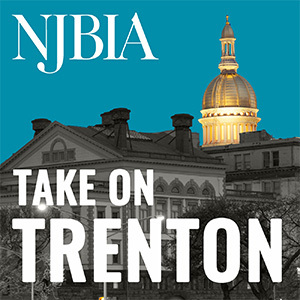 For specific legal or tax advice, NJBIA strongly recommends members consult with their attorney or accountant.